We are a different kind of breast care center. Dedicated to providing individualized patient care in a private office setting, patients can expect a level of service not found elsewhere. 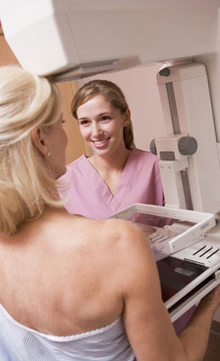 Led by a board-certified radiologist with advanced, specialized training in breast imaging with a dedicated staff of technologists using state-of-the-art digital mammography equipment, Peninsula Diagnostic Imaging provides the best care for the earliest possible detection of breast cancer. An ACR accredited facility since 1992, our ACR Center of Excellence puts the patient first. Our facility in San Mateo is easily accessible, and provides convenient parking in the same building. Our offices have a relaxed and comfortable atmosphere and our staff and doctors are sensitive to your needs and respectful of your time.